From minimizing waste and preserving greenery to reducing our carbon footprint, environmental management is a part of all that we do. 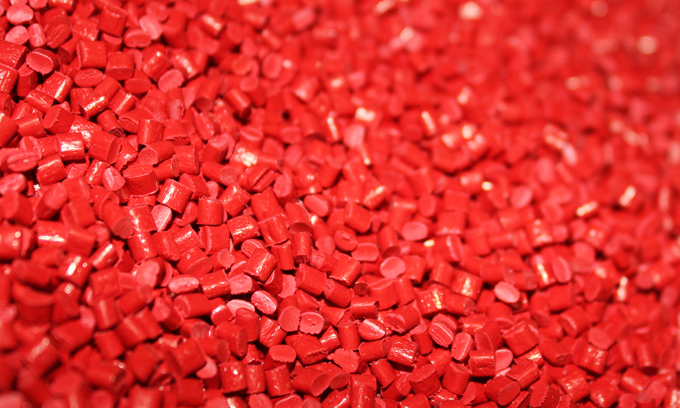 Our 100,000 sq ft state-of-the-art facility produces high quality HDPE conduits under the strictest of quality controls. If there’s ever a problem, we’ll fix it, fast. Guaranteed. Trust must be earned. That’s why we employ a large fleet of trucks and a network of logistics partners to ensure your order is correct and delivered on time, every time. 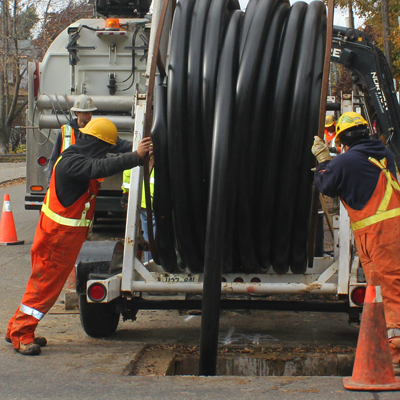 Our vision is to be North America’s BENCHMARK FOR QUALITY AND SERVICE IN THE HDPE CONDUIT INDUSTRY. More than 30 years in the business has given us deep knowledge in best practices. Our customers benefit from our extensive expertise in production processes, material compositions and applications, and our commitment to deliver superior quality product at highly competitive prices. You need product and you want it fast. We get that. That’s why our 100,000 sq ft warehouse houses hundreds of conduit reels that are ready to go whenever you are. 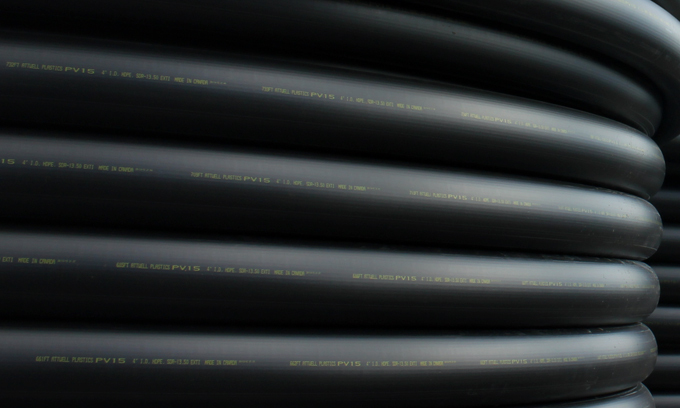 From 1/2” to 8”, ribbed to smooth, with pull-through or without, specialized reel lengths, and pretty much every colour in the spectrum, we can produce it all. 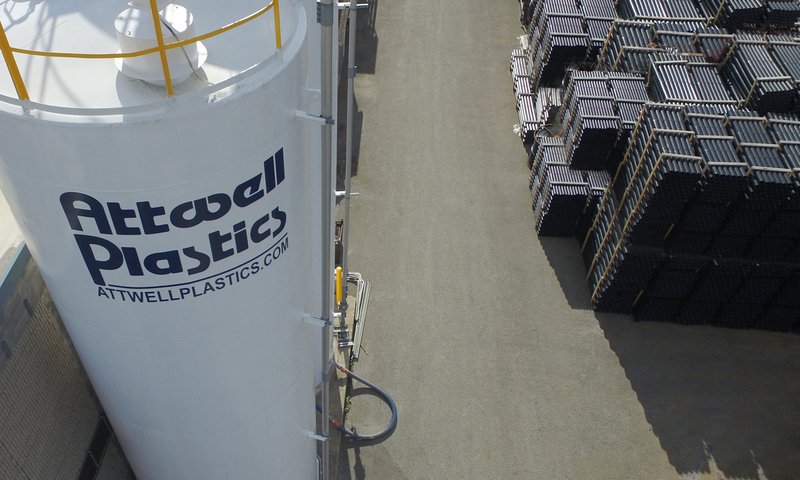 From across North America to around the globe, we’ve been delivering top notch product efficiently and cost effectively for well over 30 years. Our 100% Satisfaction Guarantee means we are constantly reinvesting in technology. After all, better technology means better products and happier customers. 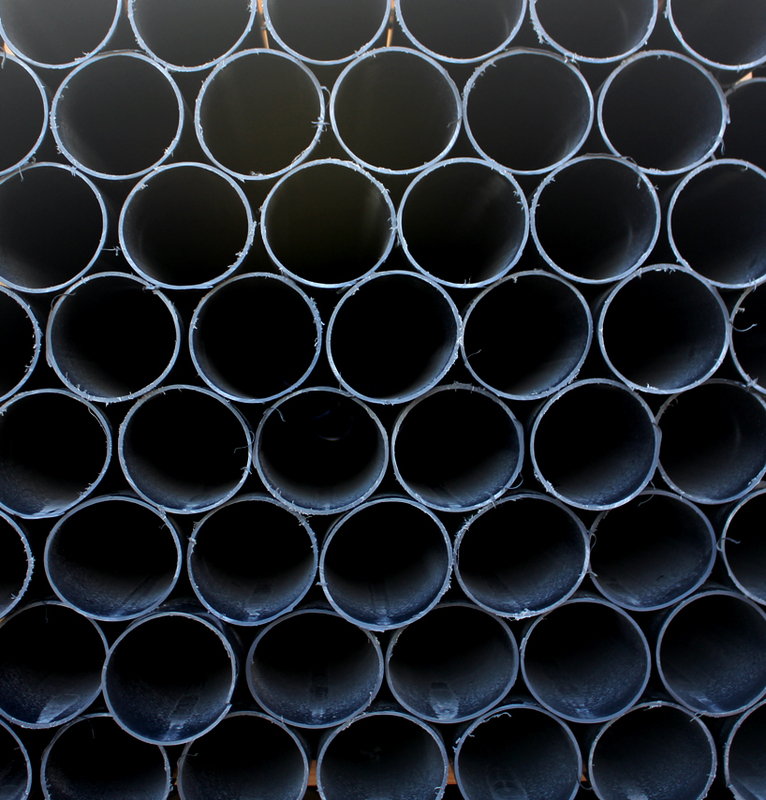 SEE WHAT HAPPENS WHEN HIGH PERFORMANCE MEETS HIGH DENSITY IN A POLYPIPE. 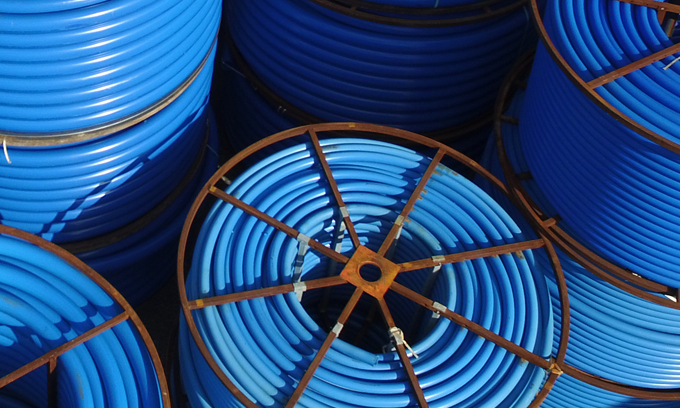 We challenged our onsite Engineer to come up with a stronger, more durable polypipe than the industry standard. He came back with industrial strength resin designed to withstand an industry-setting 3300 psi tensile. PV-15 is ours and ours alone. 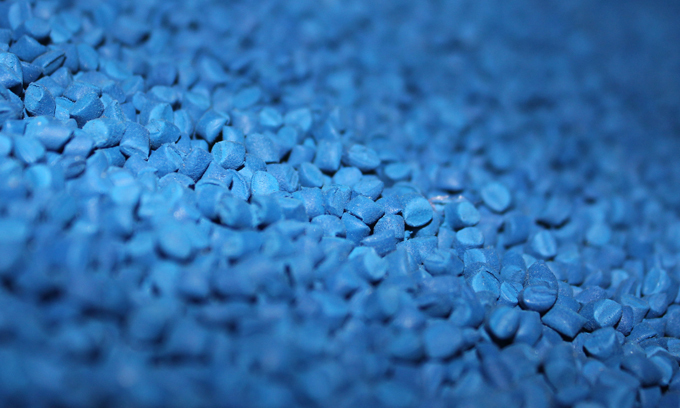 And it just may change everything you thought about HDPE. 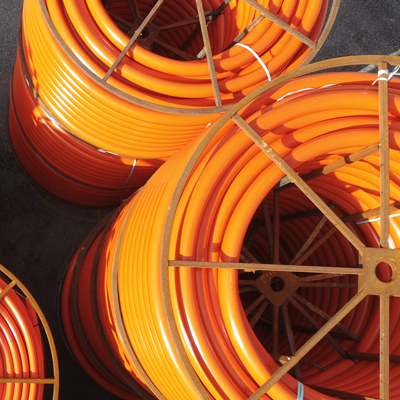 Our high quality HDPE conduit is used by some of the world’s largest telecom and utility companies. It comes in long lengths to reduce joints and installation time, allowing for a more flexible system. 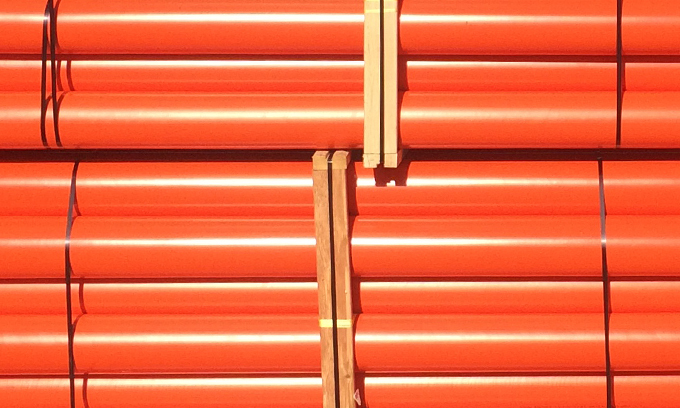 Besides our huge inventory, we can also accommodate custom orders. Three state-of-the-art facilities and more than half an acre of flat land can house a huge amount of inventory. 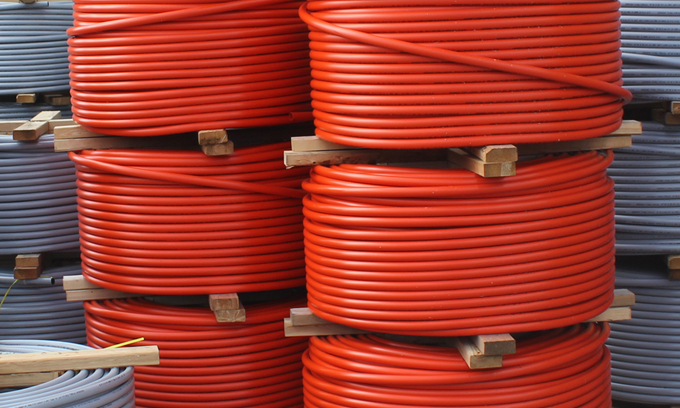 That’s why we have hundreds of conduit reels ready to ship within 24 hours, whenever you call us. Plus, if we don’t stock it, we’ll custom make it. 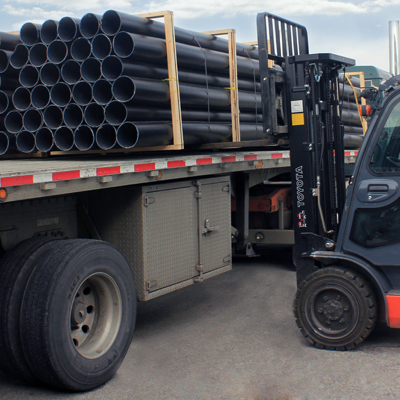 Our comprehensive logistics network enables us to ship quickly and cost effectively to job sites around the world, while our large fleet of trucks handles speedy deliveries closer to home in Ontario. Wherever we ship, we arrive on time, every time.